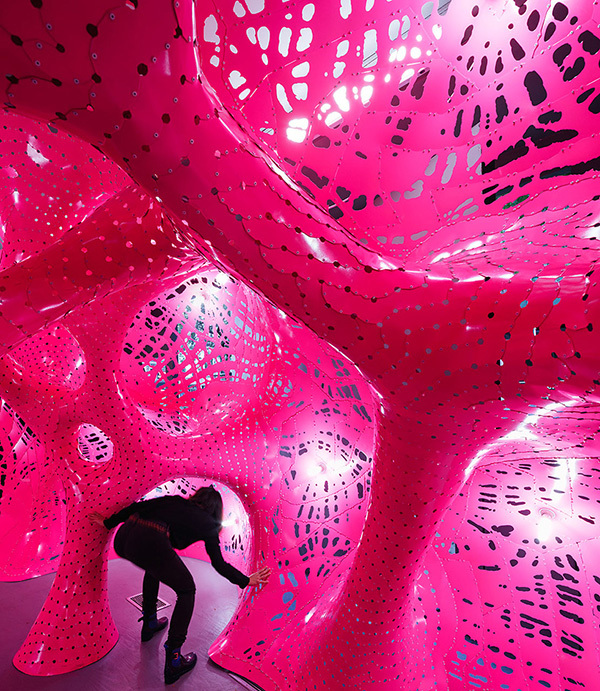 Artist Jana Winderen and architect Marc Fornes / TheVeryMany created an installation for New York’s Storefront for Art and Architecture, entitled “Situation Room”. The form is a collective of twenty hard-surface spheres, varying in diameter. They are combined to create an envelope of experiential tension. 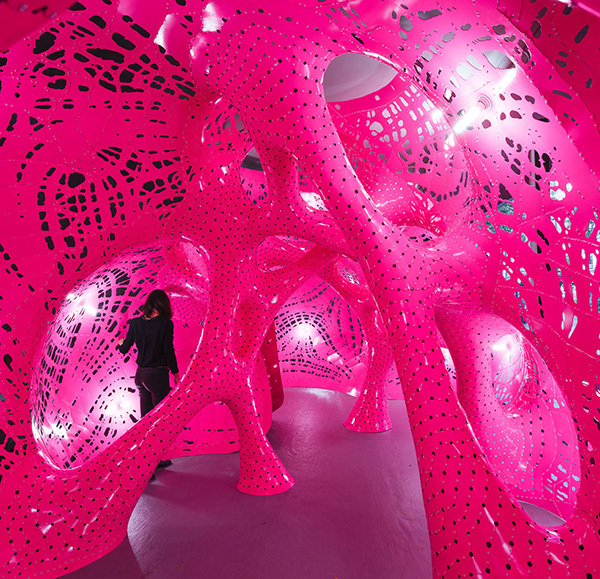 The intricate shape undulates and stretches within the exhibition space from floor to ceiling. 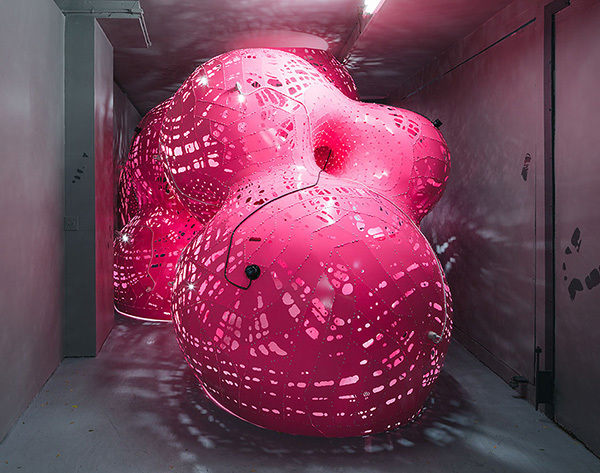 The entire structure is powder coated a vibrant, almost florescent, pink, while an abstract pattern is cut throughout the exterior skin which plays between light and shadow. Visitors activate sound within the installation by walking and crawling throughout the abstract network. 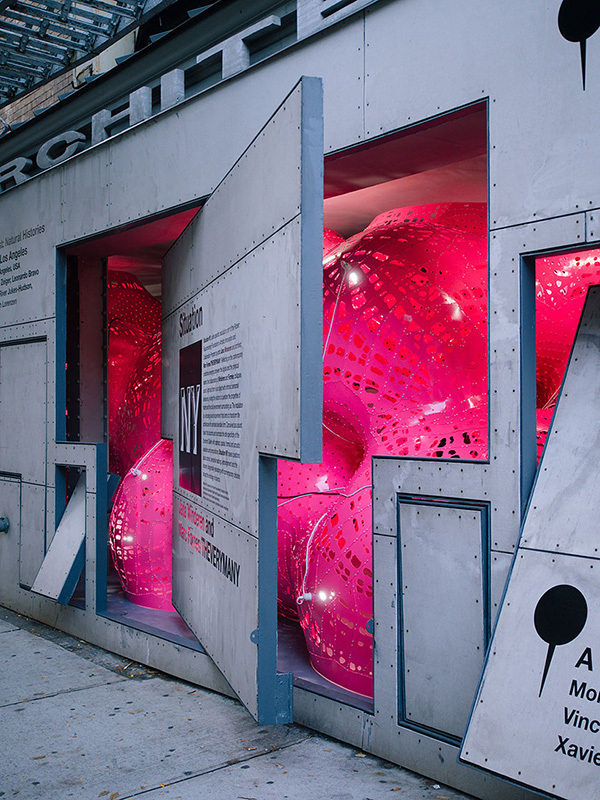 Storefront describes the art as, “a vibrating sound experiment that that aims to transform architecture into animated sensible form.” The result challenges the comfort of the known with the uneasy interaction of the unknown.